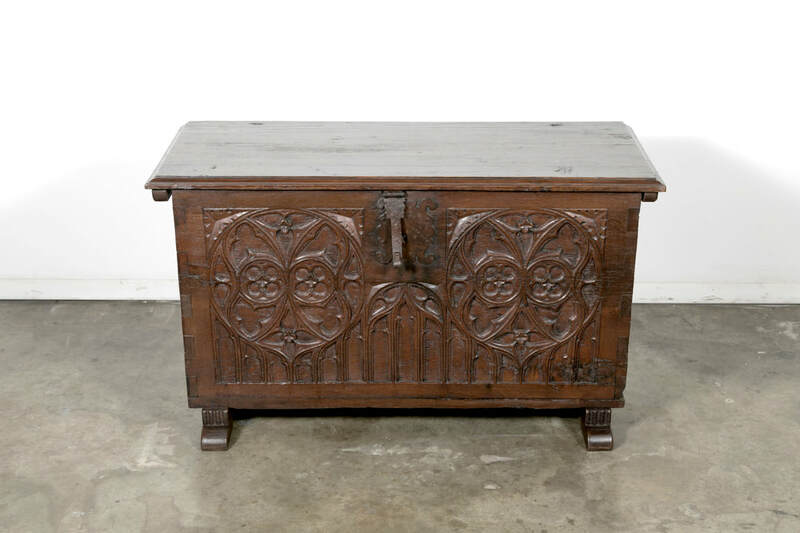 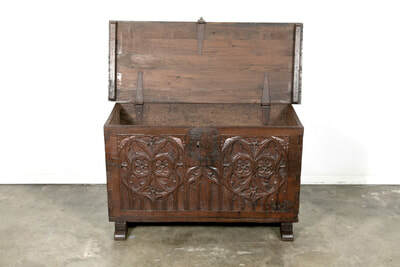 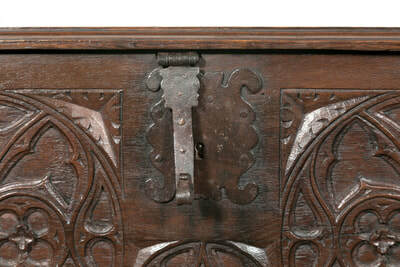 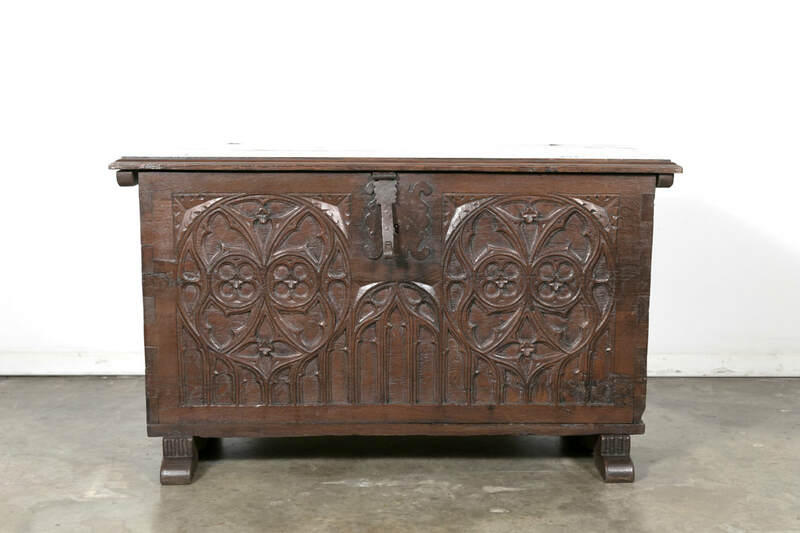 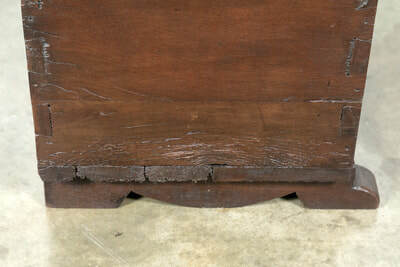 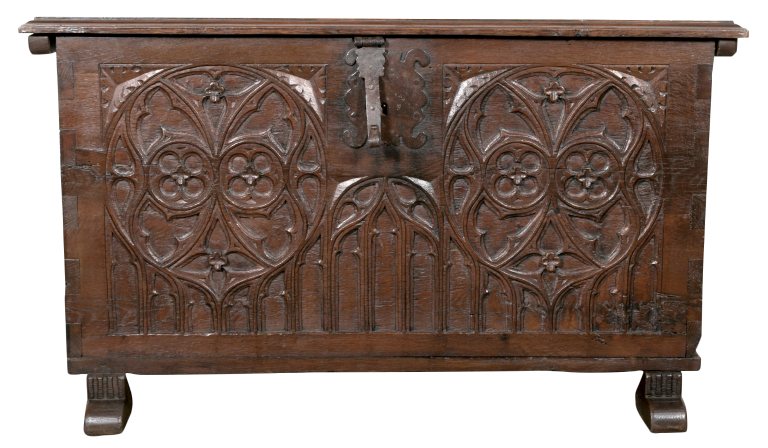 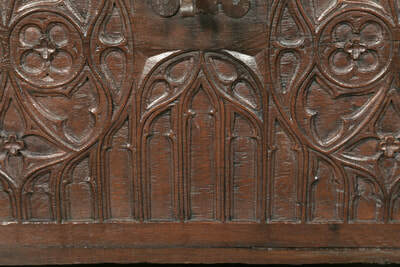 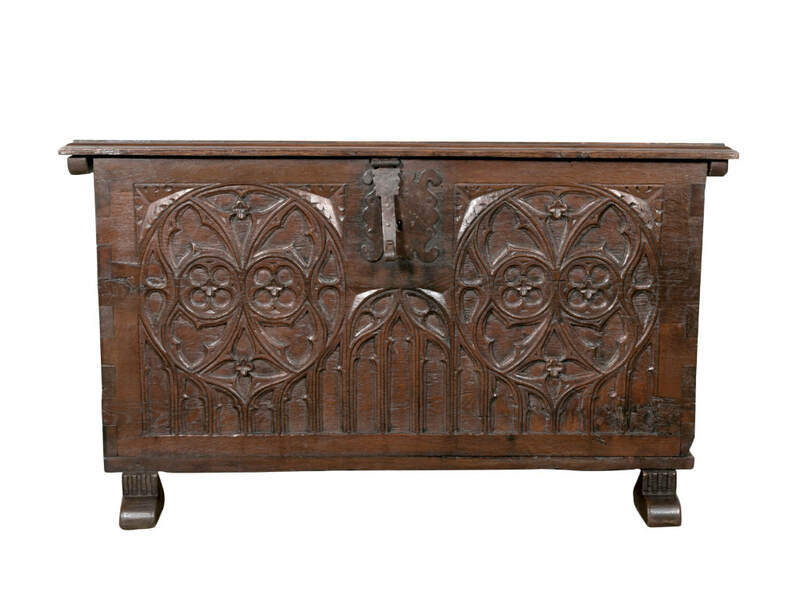 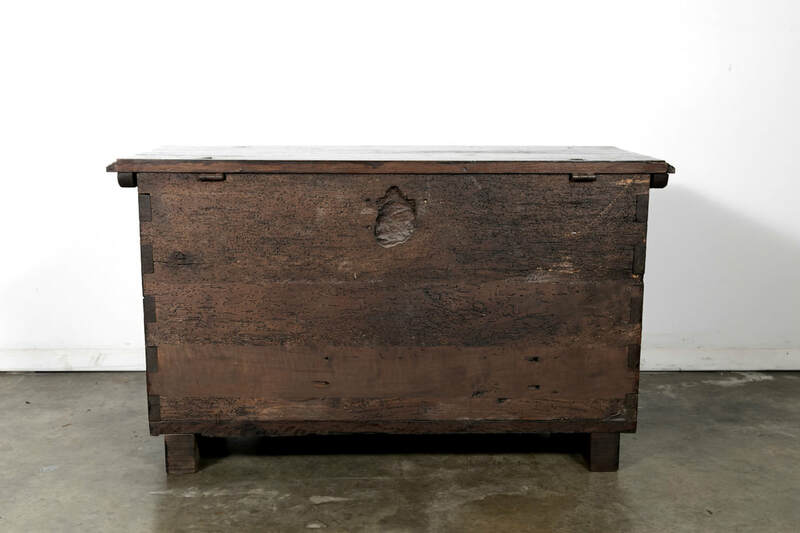 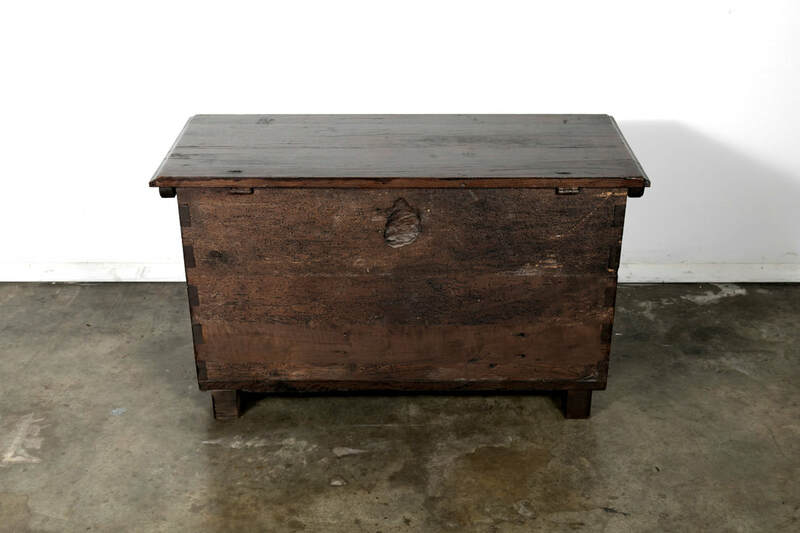 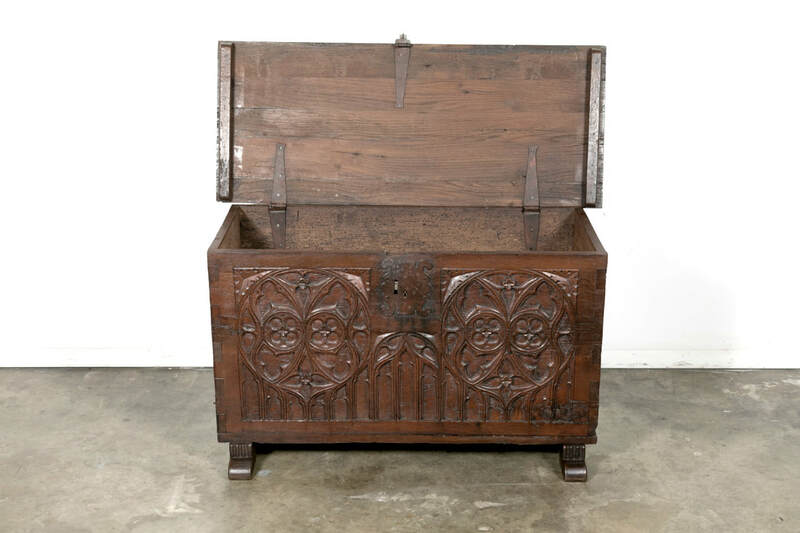 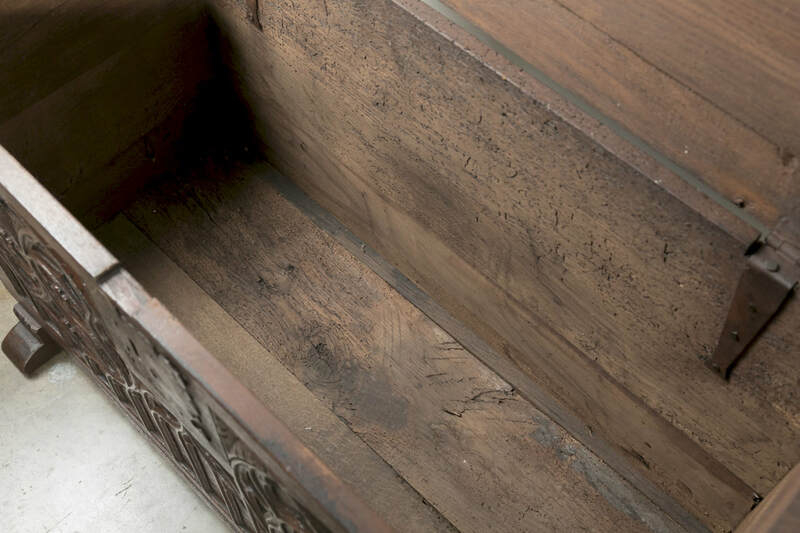 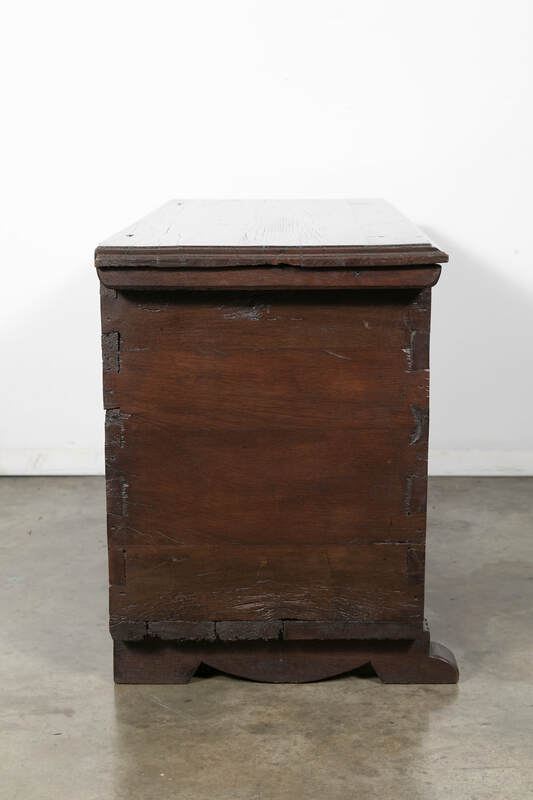 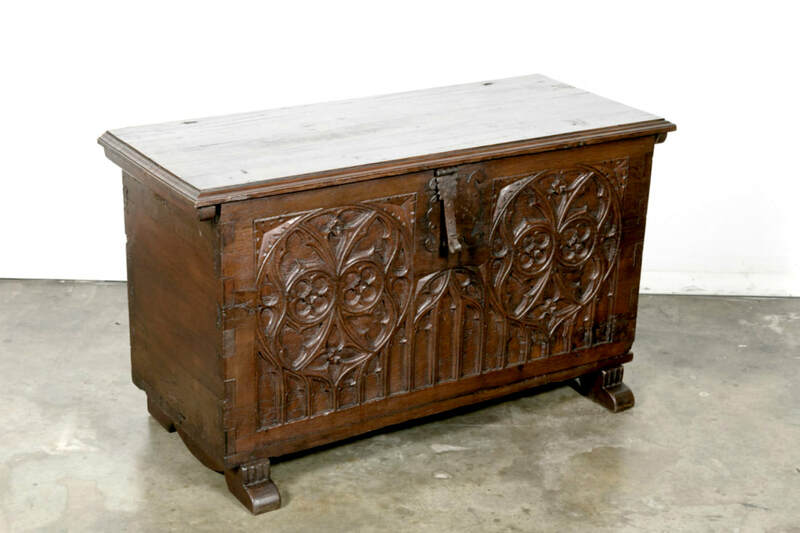 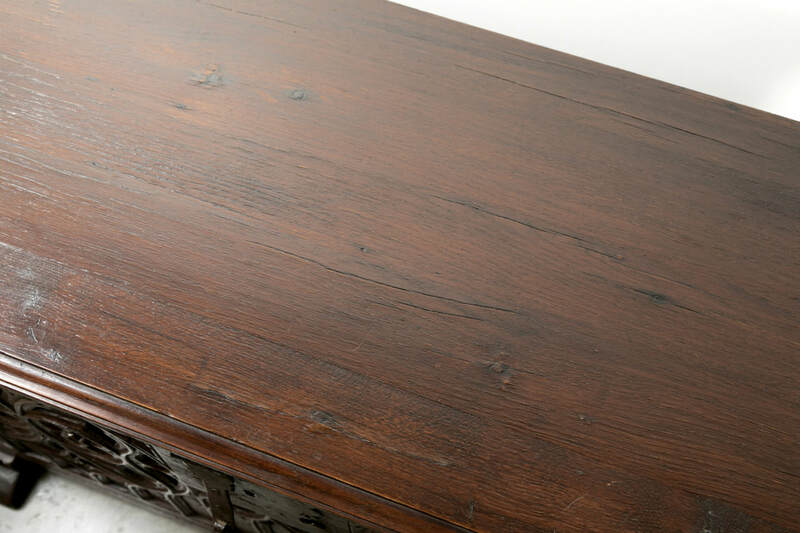 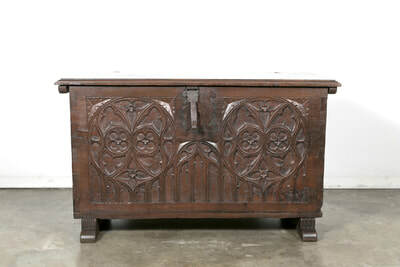 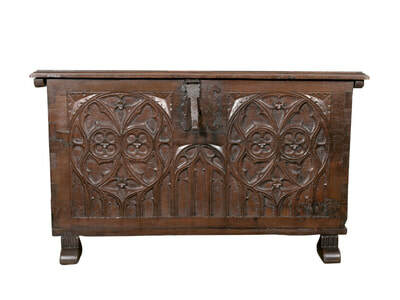 Intricately carved early-18th century Gothic style coffer handcrafted in Spain of solid oak. 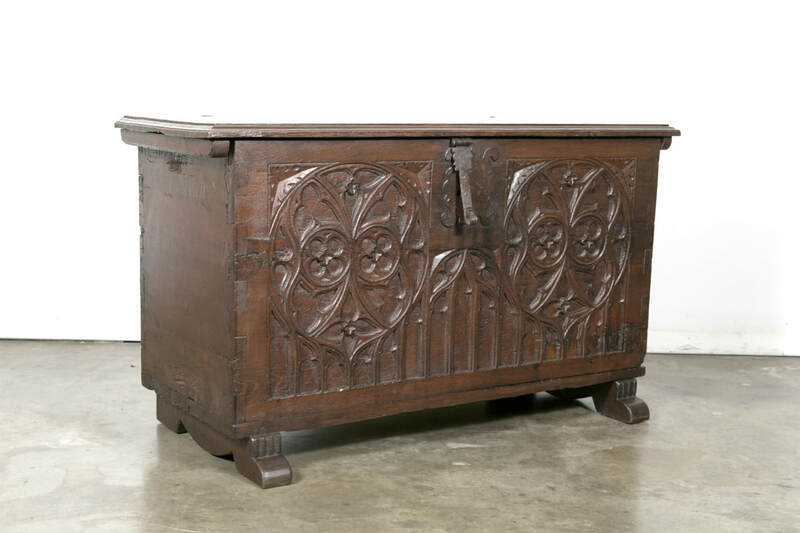 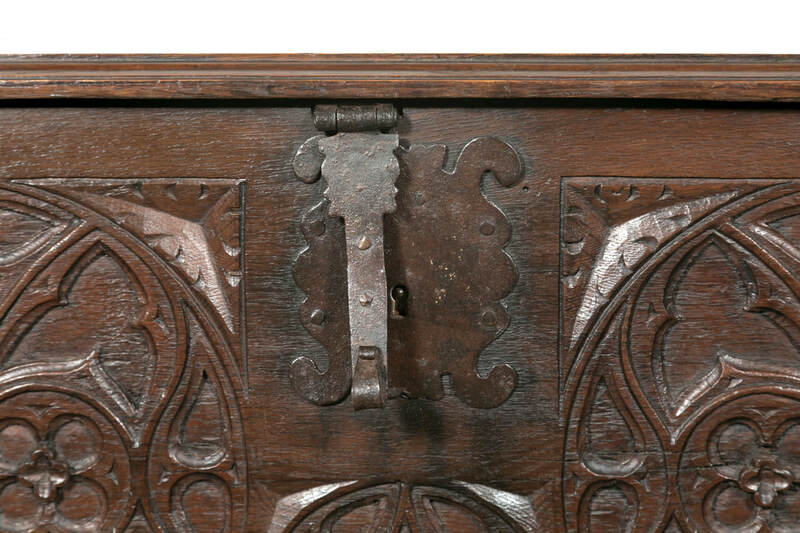 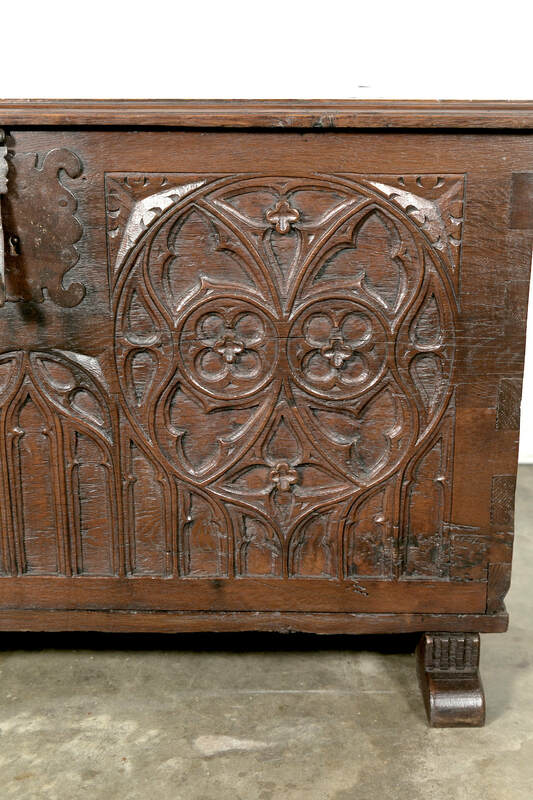 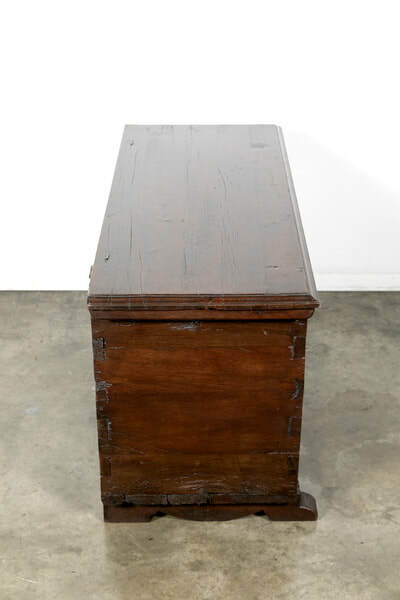 This small trunk, having its original hand wrought iron hardware, with a thick and solid carved lift top with beveled edges, and typical relief carved Gothic flame tracery consisting mainly of quatrefoils and pointed arches decorating the front. 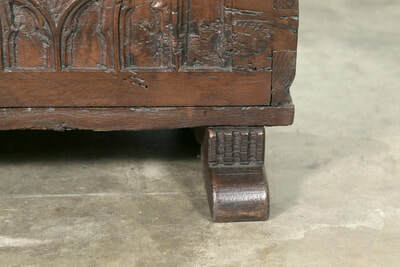 Raised on sledge feet. 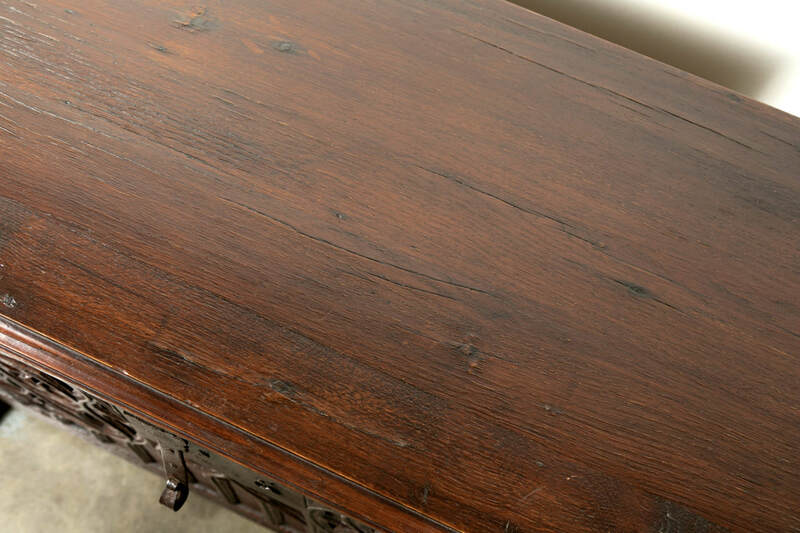 The patina is a beautiful rich and dark color. The small size makes this coffer ideal for a number of different locations and rooms in the home.